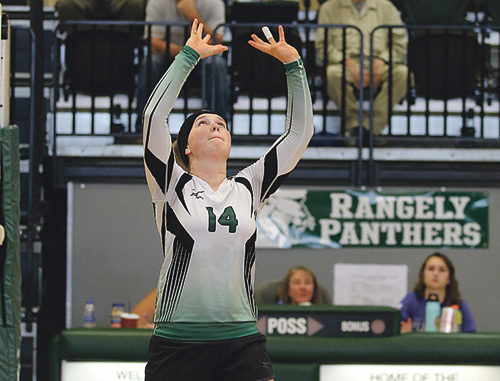 Rangely hosted a small volleyball tournament and won three of four matches. Matches were best two out of three games to 25. Rangely defeated Rifle 2-0, Moffat County 2-0 and Hotchkiss 2-0, but lost to Telluride 1-2.